Sydney Dive Safari, Matraville, NSW. Information, Photos and Reviews. With one of the largest retail showrooms in Sydney we stock a broad range of quality brands across scuba diving, snorkelling, freediving, spearfishing and stand up paddle boards. 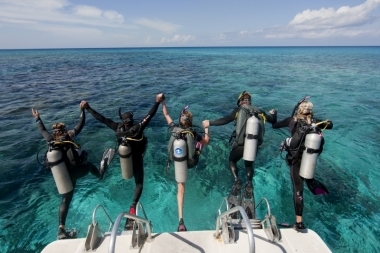 In addition to the full range of scuba courses, we also offer snorkelling, freediving and workplace first aid courses from entry level through to instructor. We are the closest dive shop to Bare Island, arguably Sydney's most popular shore diving site, being just five minutes from our front door and have on site HOT showers and washing facilities available post-dive. Our social club is very active and we stock a full range of hire equipment, offer air and nitrox fills, equipment servicing, guided shore dives, boat dives, weekends away and overseas holidays. We are one of Sydney's leading Career Development Centres with two full time SSI Instructor Trainers on staff which provides us with the ability to train beginners through to the highest levels of instructor, any day of the week. Nobody has reviewed Sydney Dive Safari yet, Be the first. You are submitting a booking enquiry. Sydney Dive Safari will then contact you by email with details of availability and prices.